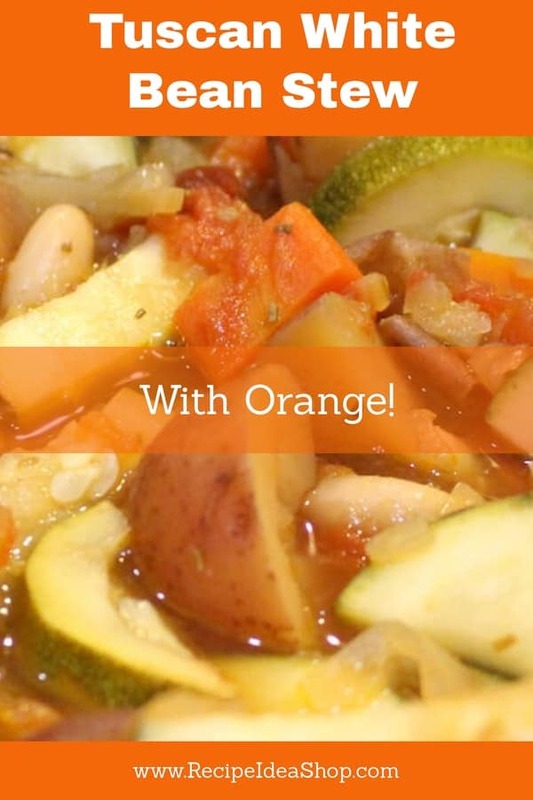 Tuscan White Bean Stew with Orange, a terrific stew to warm you up. Hi. It’s Lois in the kitchen at Recipe Idea Shop, telling you about Tuscan White Bean Stew with Orange. 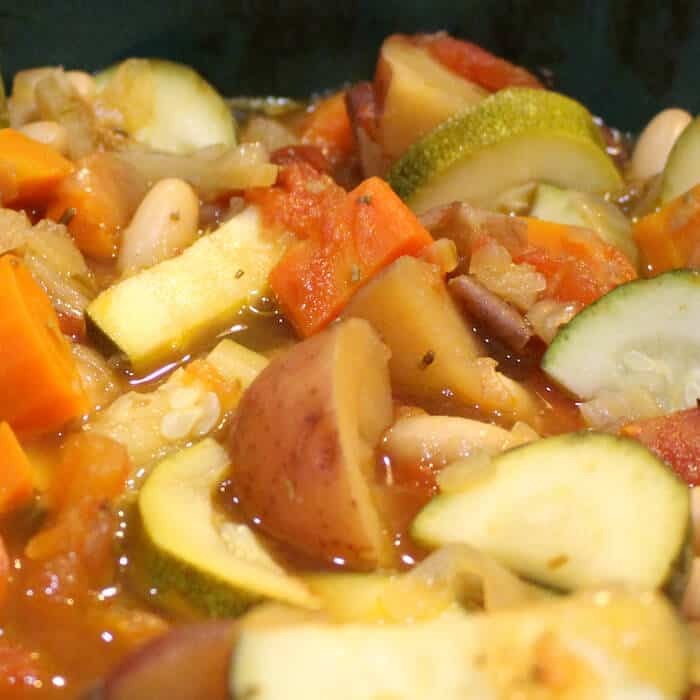 This flavorful ragout originally comes from Robin Robertson’s Vegan Planet. I really cannot remember what, if anything, I changed in the recipe. Robertson has some of the best vegetarian and vegan cookbooks on the market. Her recipes are always terrific. Try making this in your Instant Pot. Don’t have one? You are really missing out. I suggest you get one. Instant Pot Ultra 6 Qt 10-in-1 Multi- Use Programmable Pressure Cooker, Slow Cooker, Rice Cooker, Yogurt Maker, Cake Maker, Egg Cooker, Sauté, Steamer, Warmer, and Sterilizer. Buy it on Amazon. The orange juice and rosemary add a lightness and depth to the vegan stew. It is filling and good for you! Add a glass of wine, pair the meal with some sliced Gala apples and a piece of dark chocolate, and your meal is complete. A light, but filling stew. Sauté the onions in the olive oil over medium-high heat until softened. Add the carrots, fennel, zucchini, and garlic, and continue to cook, stirring periodically for 3 minutes or so. Dump this into a crock pot (slow cooker) that you have sprayed with cooking spray. Add the wine, vegetable broth, potatoes, and tomatoes. Cook on low for about an hour (maybe longer, depending on your slow cooker). Add the orange zest, rosemary and orange juice. 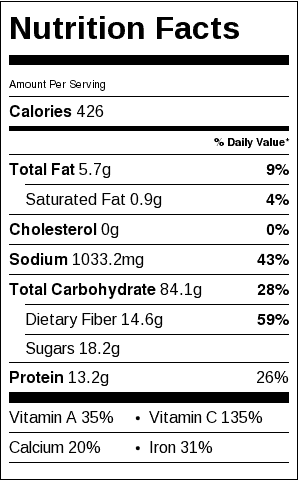 Tuscan White Bean Stew with Orange Nutrition Label. Each serving is about 1 1/2 cups.